Under-construction houses currently attract 12 per cent GST and 6 per cent stamp duty and registration. Mr Goyal has been asking banks to step up lending to the housing sectors. 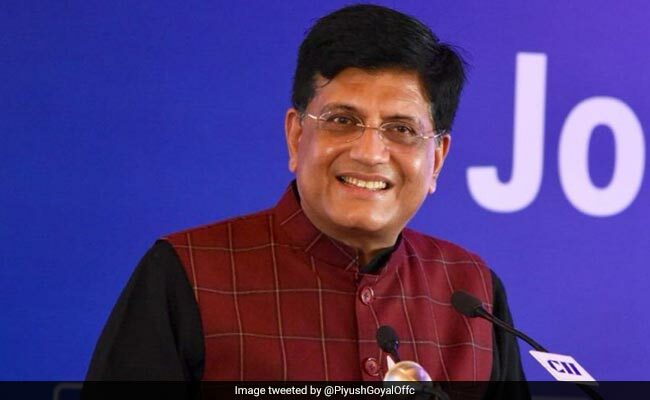 Finance Minister Piyush Goyal on Thursday said the government is considering giving relief to the real estate sector and the next GST Council meeting could take some steps to address their issues even as he asked the banks to meet the realty sector on stalled projects in two weeks. At the industry body CREDAI event, he also advised the realty sector to sell off inventory even in the current pricing about which the realtors complain as being low. Mr Goyal has been asking banks to step up lending to the housing sectors. The finance minister asked the state-run banks to meet realty sector on stalled projects in two weeks and asked the realtors not to over-leverage the loans and drive away the banks from lending them. SBI chairman Rajnish Kumar was also present in the event. While crediting the Prime Minister with taking up the problems of the housing sector, Mr Goyal said "The Prime Minister guided us that we must relook at the GST structure. We have been having extensive discussions and last time probably we would have been able to finalise it but for some different view points came out from different quarters which was natural but somewhere you have to come at a consensus. "I think what the GoM on Housing has decided on the final consensus, I am confident, you will support that and very soon the GST Council meeting has been called for and I am sure the solutions will come out and you all can benefit out of that. Some of you may feel at disadvantage of about 1-2 per cent. "Here I will seek your support that you accept what the GST Council decides and this is in your interest also. You will be spared of queries from officials over small issues like if you have passed on the input tax credit to the consumers or not, being pushed to the anti-profiteering tribunal. I think that will be the biggest benefit to you all." The ailing real estate market is looking to get GST intervention to come out of the slump. Though the Finance Minister did not reveal the relief that is coming from GST, the government is in the process of handing out a big bonanza to property developers and buyers by reducing GST on under-construction houses, from 12 per cent to 5 per cent. GST on affordable housing, meanwhile, will only be 3 per cent. Mr Goyal had earlier held a meeting with CREDAI, the umbrella body of developers, whereby he had promised that in the upcoming GST council meeting, tax on under-construction houses and affordable housing would be reduced significantly. Even in his Budget speech, Mr Goyal had said his government will reduce GST on under-construction houses. The industry is of the view that people are staying away from investing in property due to heavy taxes. A builder said at 12 per cent GST, if the cost of a house is Rs 1 crore, buyers have to pay Rs 12 lakh as tax plus 6 per cent stamp duty and registration, which means the customer ends up paying Rs 1.20 crore which is a huge amount. It also meant under-construction real estate market was facing troubled times. The industry wants to revive the under-construction market facing the maximum pressure.